North Wind Group is excited to announce the opening of a new office in Bremerton, WA. 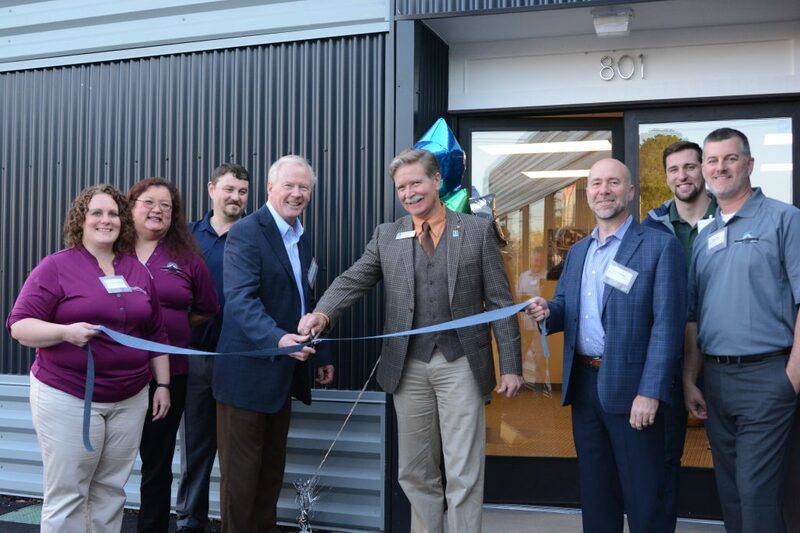 The event was commemorated with an open house on October 18th with a ribbon cutting by Mayor Greg Wheeler and North Wind Chief Operating Officer, Brad Frazee. Having worked with area government agencies for many years and successfully launching our Regional office in Seattle less than two years ago, North Wind is proud to launch this new Bremerton office located at 801 6th Street just a few blocks from the ferry docks and down the street from the Shipyard. Two of North Wind’s subsidiary companies, Weldin Construction, LLC and Silver Mountain Construction, LLC, have invested in office space, hiring local talent, and have worked and been active in the community since 2014. Rebecca VanLoon, Proposal Manager; Patti O’Brien, Construction Coordinator; Robert Holm, Project Superintendent; Brad Frazee, Chief Operating Officer; Mayor Greg Wheeler; Ken Valder, Western Region Manager; Camren Veach with LONG; and Dan Bell, Estimator/Quality Control. “North Wind is growing rapidly and this new office will further support ongoing and future projects within the area. We look forward to becoming more engaged within the community as we grow our footprint in the area,” said Chris Leichtweis, North Wind Group President/CEO.